R&D management practices in engineering organizations typically conceptualize complex product innovation as a Stage-Gate process whereby novel concepts are matured through successions of development stages and progressively winnowed down at each sequential gate. This view assumes that maturity is a monotonically increasing function of the technology, and that the active process of winnowing is administrative decisions. This paper tests those assumptions using detailed evidence from six longitudinal case studies of technology innovation at NASA. R&D management practices in engineering organizations typically conceptualize complex product innovation as a Stage-Gate process. As illustrated in Figure 1, the model consists of a series of stages – during which technology is matured – separated by gates –decision points, where progress is reviewed and the set of maturing capabilities that will go on to the next level are selected, while the rest are shelved (Cooper, 1990; NASA, 2007). By conceptualizing the process in this way, the innovation management problem reduces to an optimization problem: Given a fixed set of resources, choose (a) the number of stages, (b) the relative resources allocated to each stage, and (3) the gate decision rules, such that the desired flow of new capabilities is achieved. 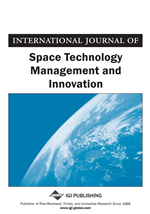 Despite the considerable evidence that the innovation process is neither segment-able nor sequential (Rothwell & Zegveld, 1994), Stage-Gate, and Stage-Gate-derived, views persists as the modus operandi at NASA and other space agencies.2 Not surprisingly, with Stage-Gates as the working model, NASA’s historical efforts to restructure its technology development process have centered on shifts between more or less emphasis on basic vs. applied R&D and the extent to which the R&D buckets are explicitly linked both to each other and to flight projects (Szajnfarber, 2011). Recently, discussions have also centered on redefining the buckets and adding additional buckets to smooth transitions among them (Braun, 2010). However, for interventions of this kind to lead to the intended outcomes, several key underlying assumptions must hold.